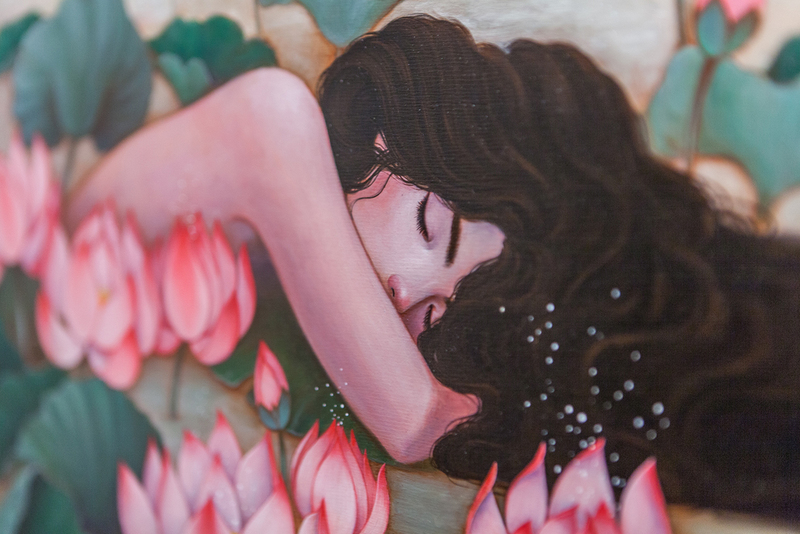 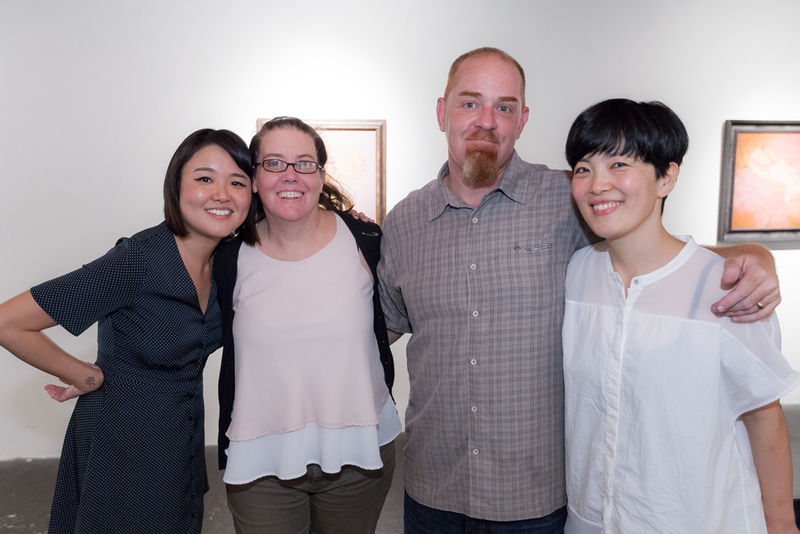 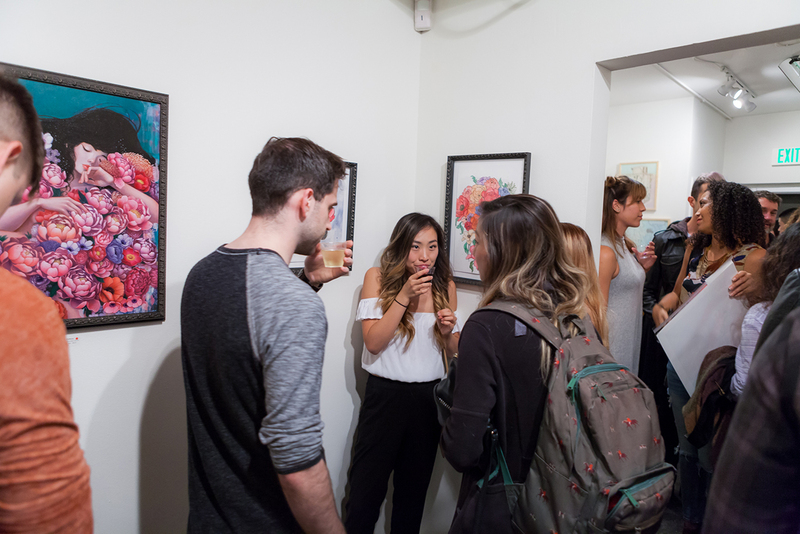 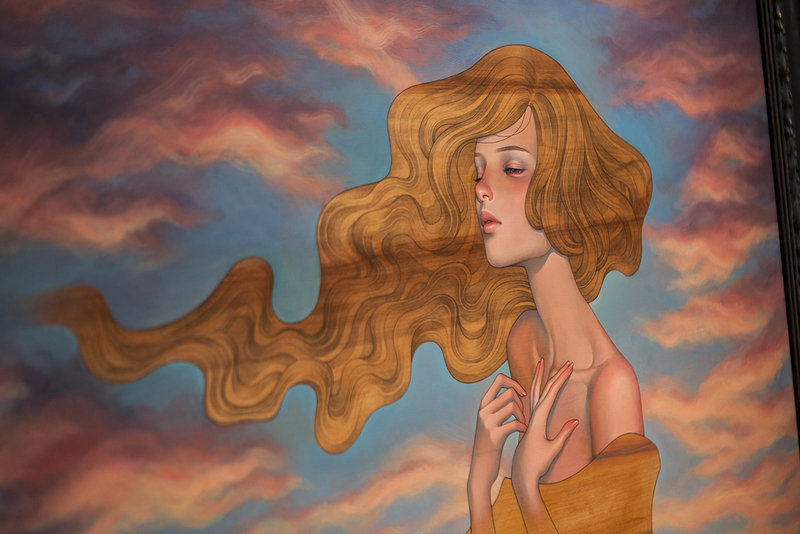 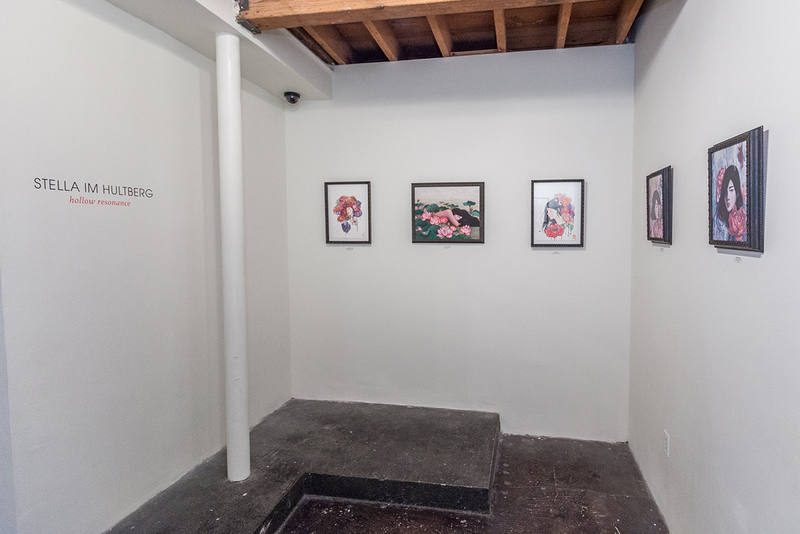 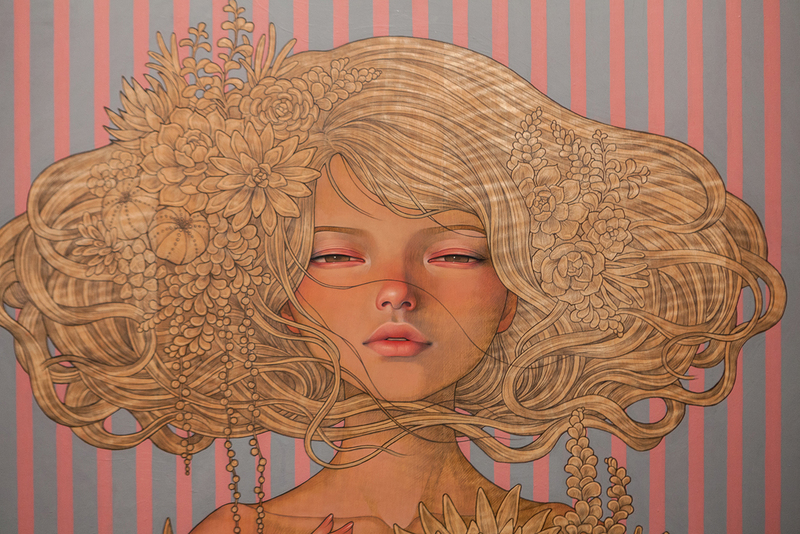 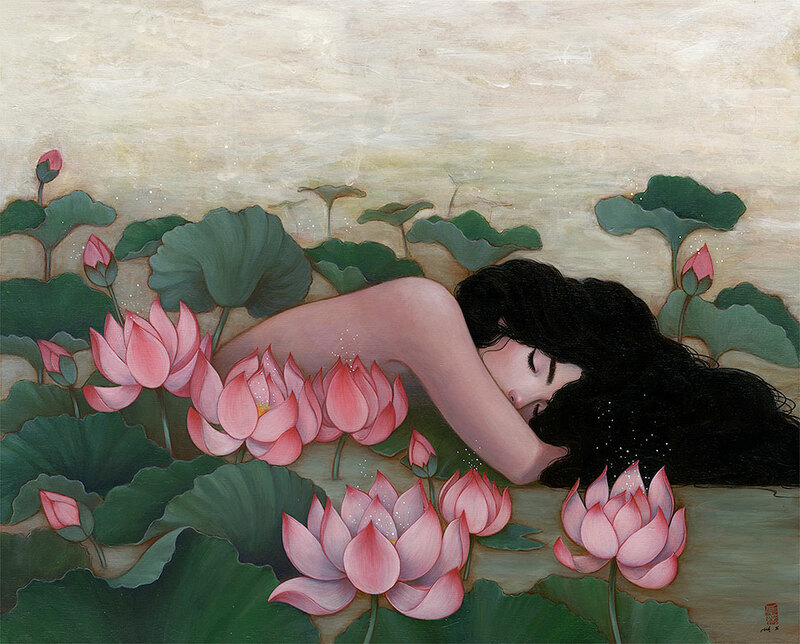 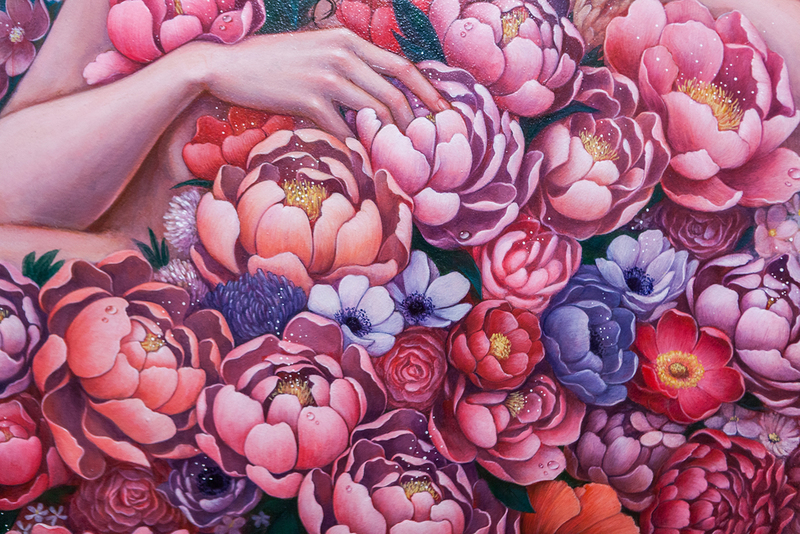 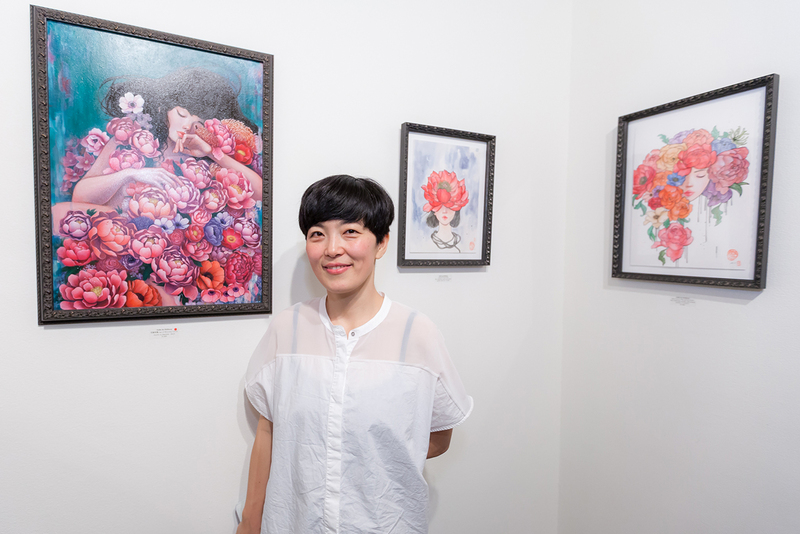 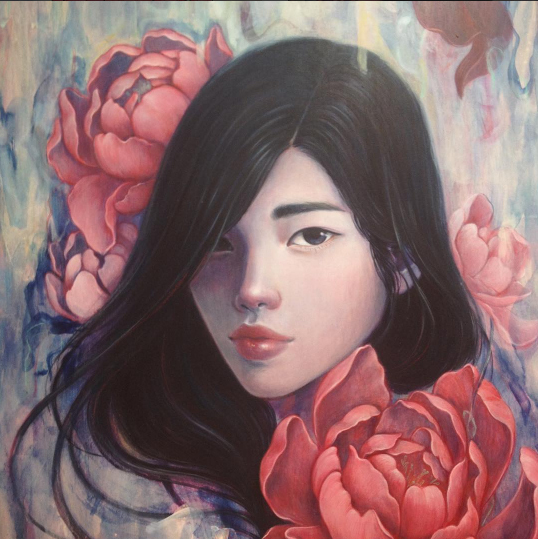 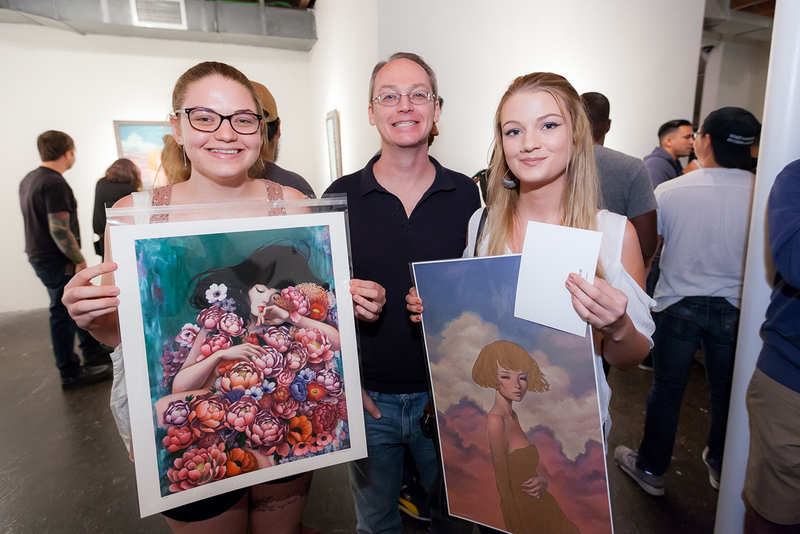 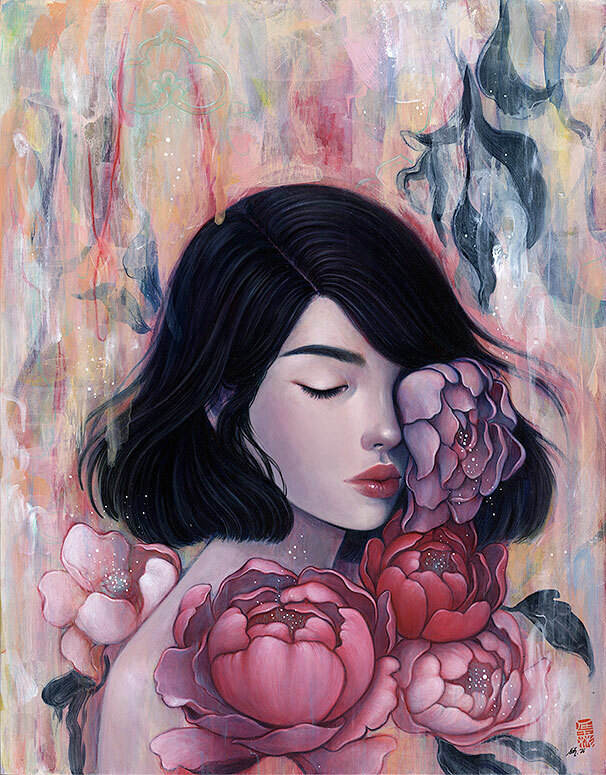 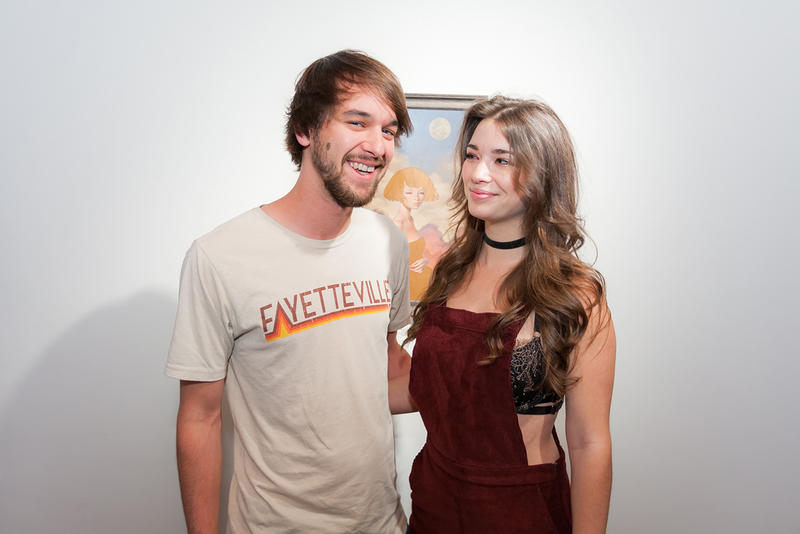 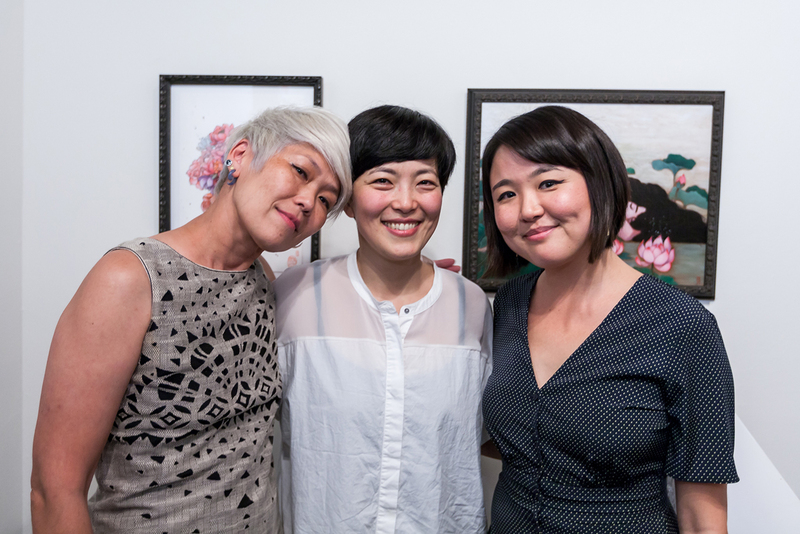 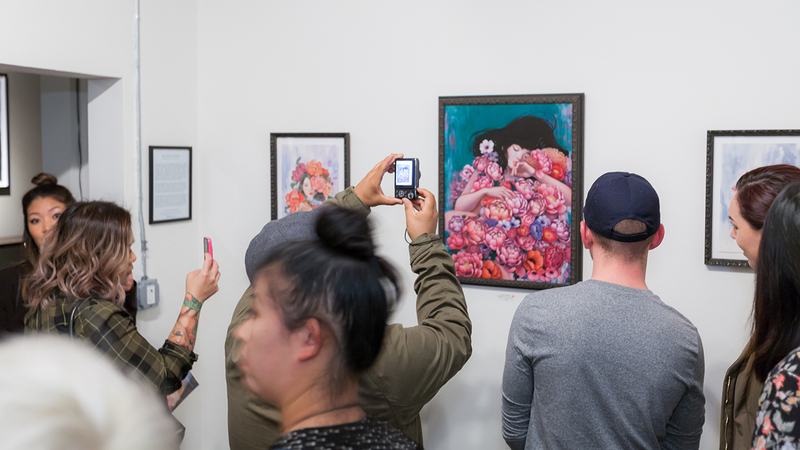 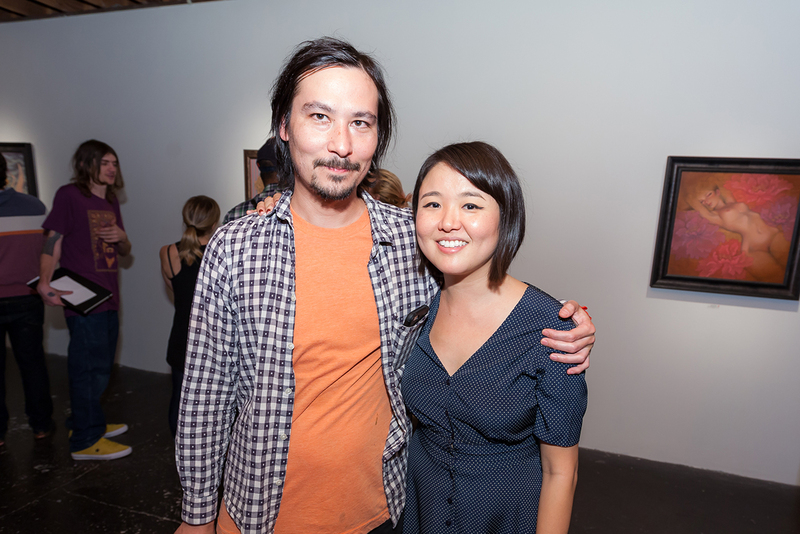 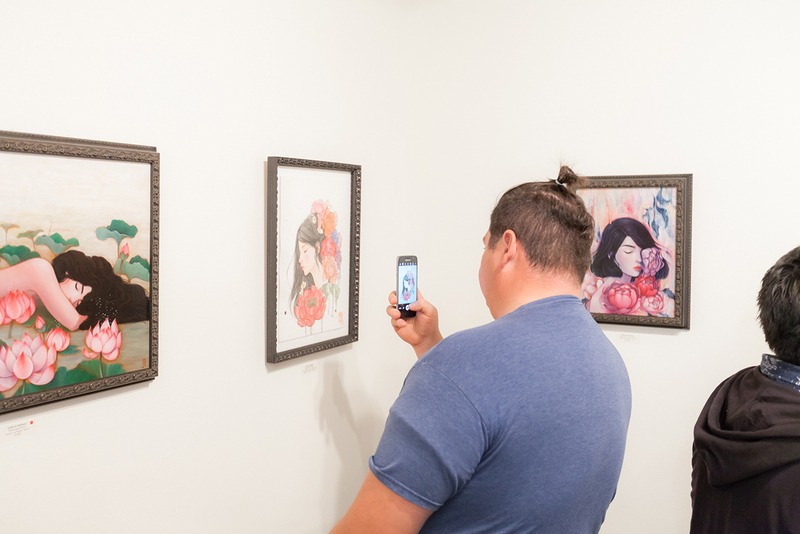 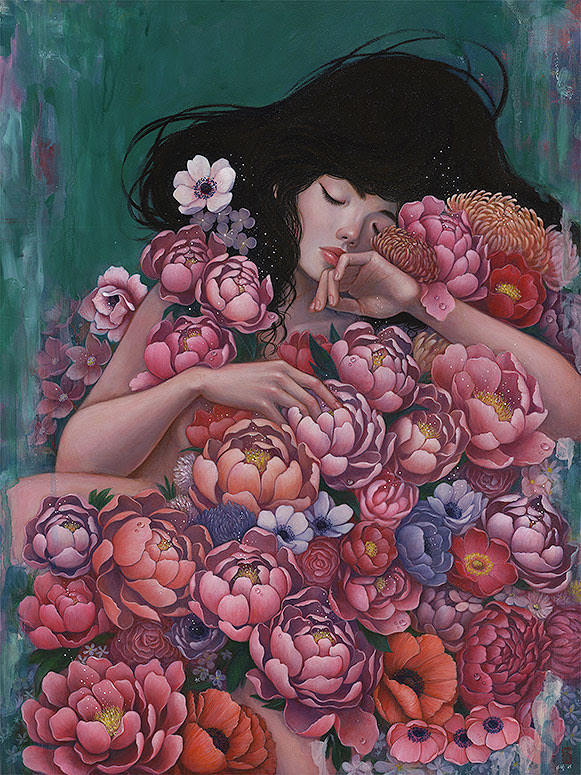 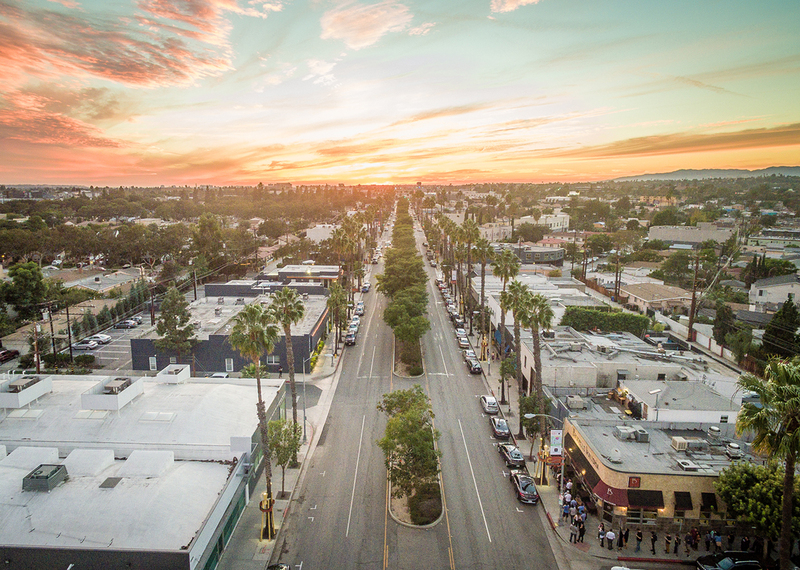 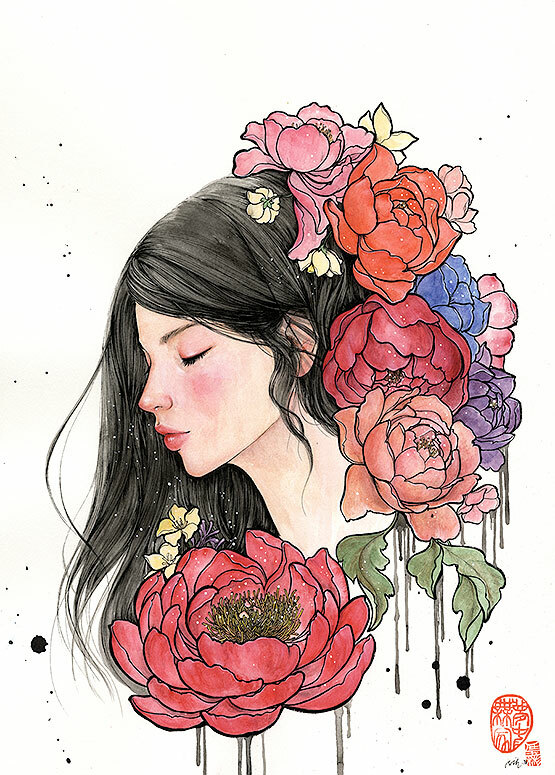 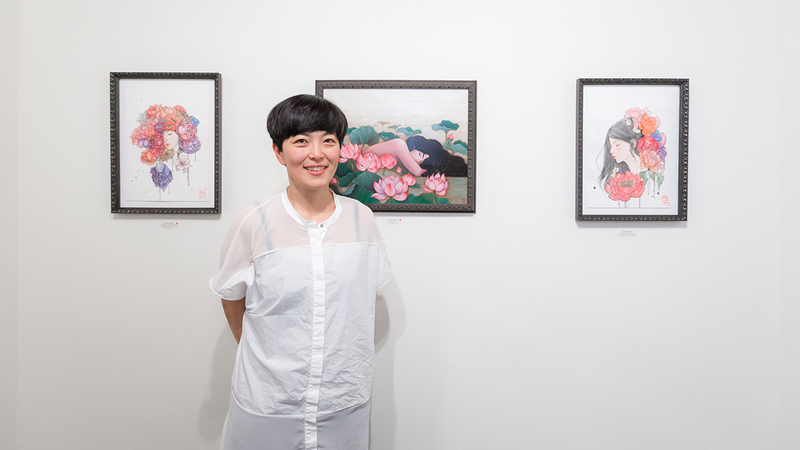 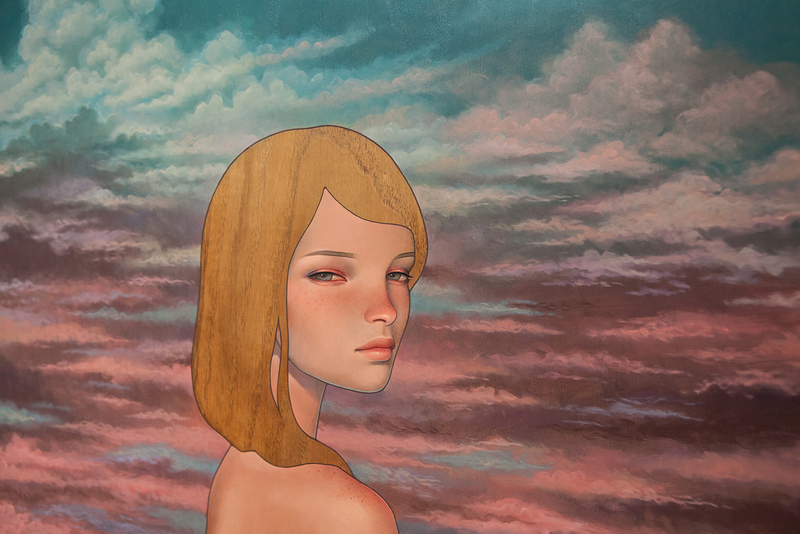 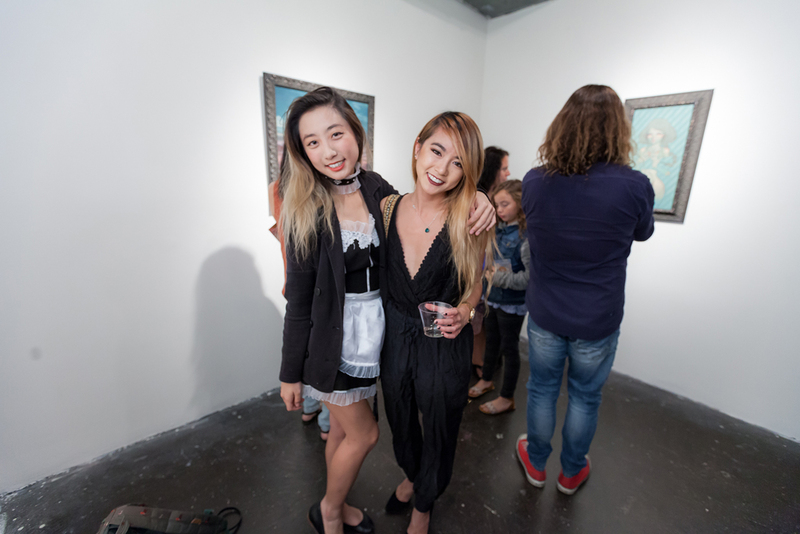 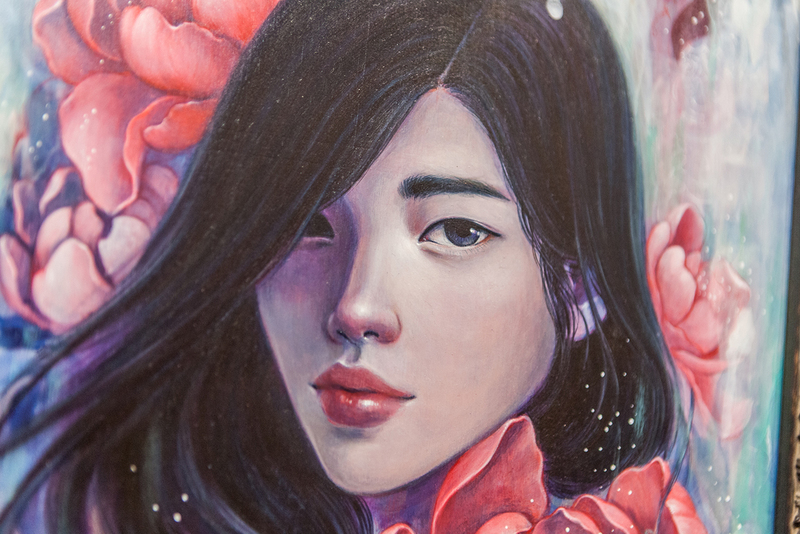 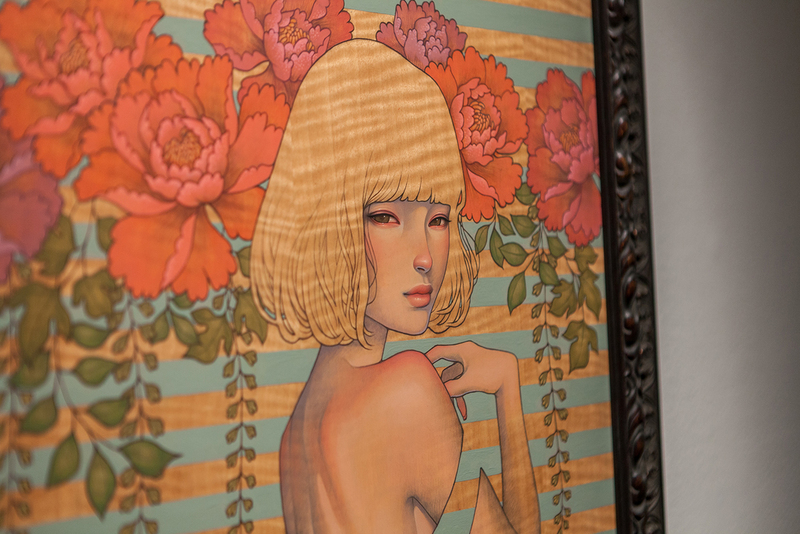 The Creators Project features the beautiful work of Audrey Kawasaki and Stella Im Hultberg, highlighting their current exhibition at Thinkspace Gallery and an excellent look into the artist themselves. 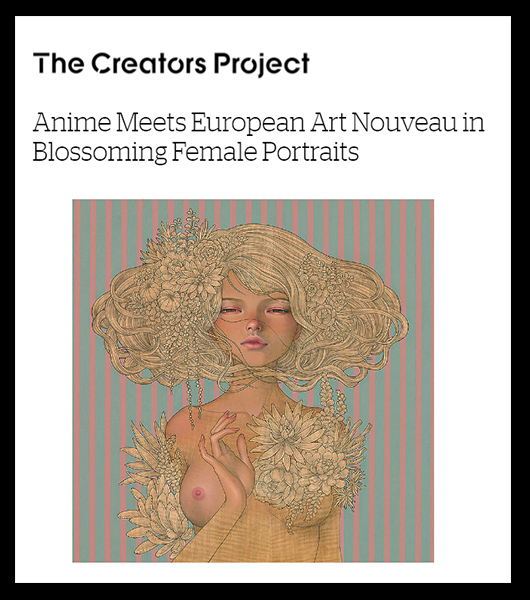 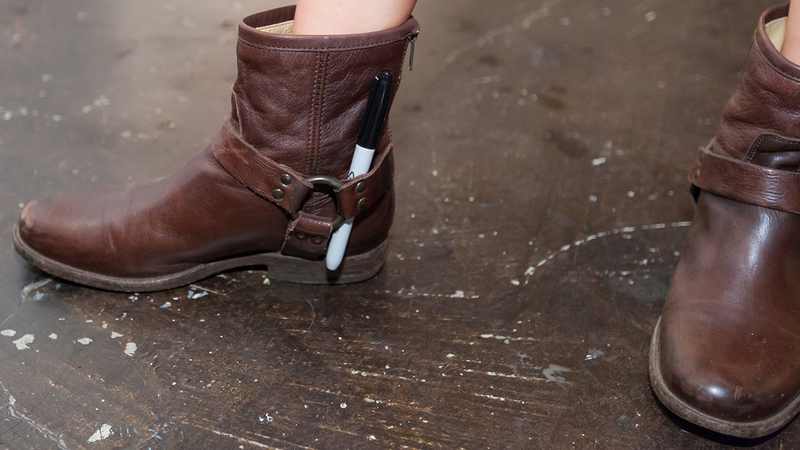 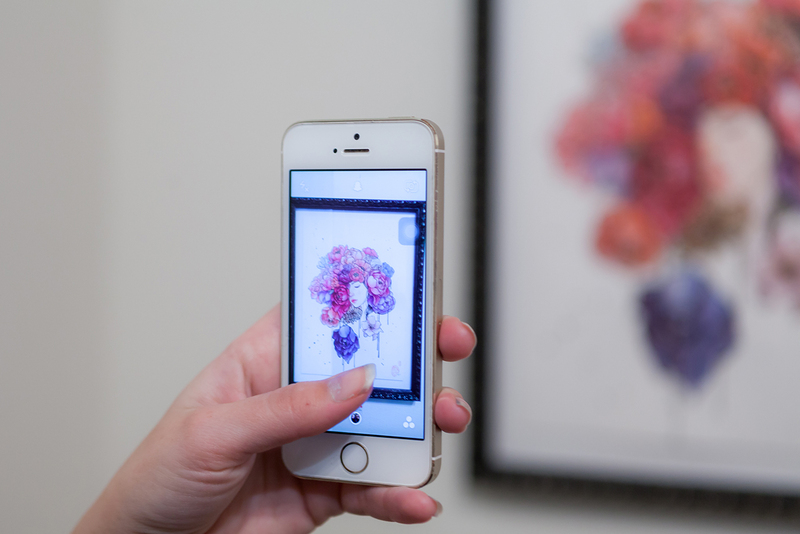 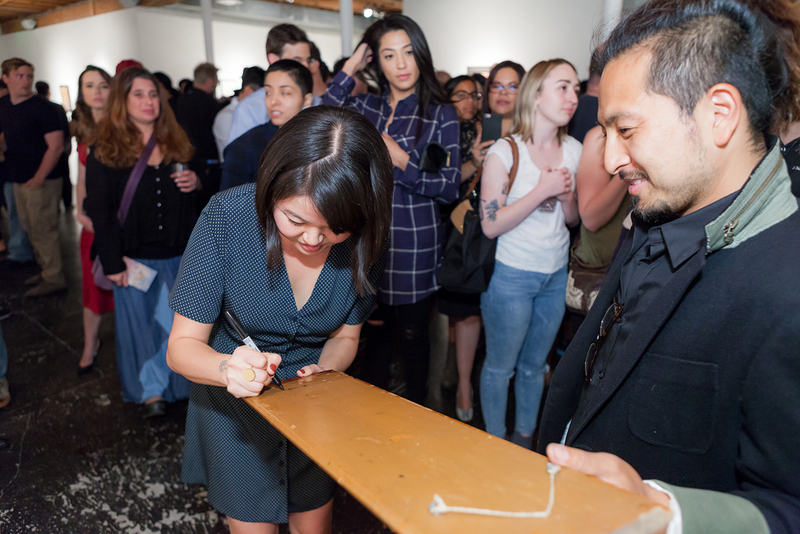 Visit The Creators Project website for the full article. 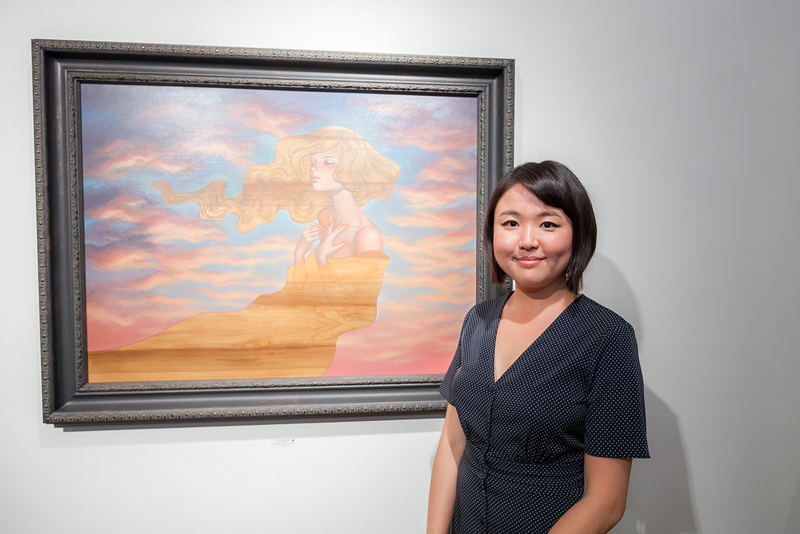 “Her paintings follow a single illusive muse: an ageless, erotically charged girl who is reinvented and reimagined in each composition.” – The Creators Project regarding Audrey Kawasaki’s work. 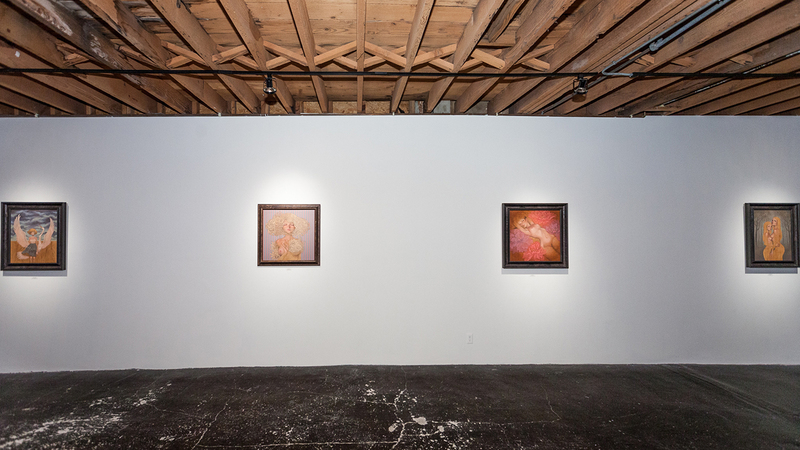 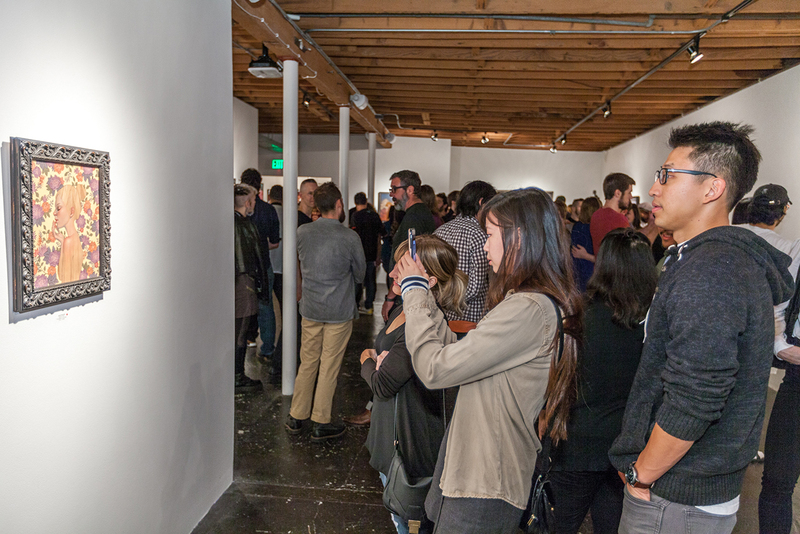 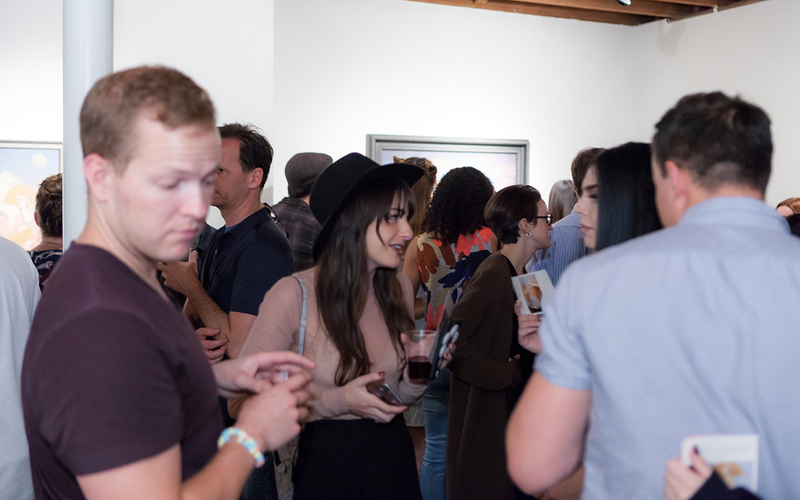 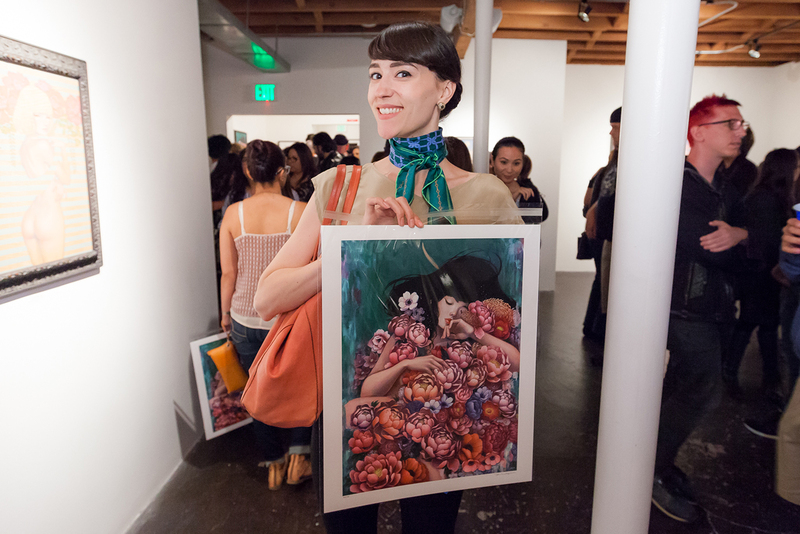 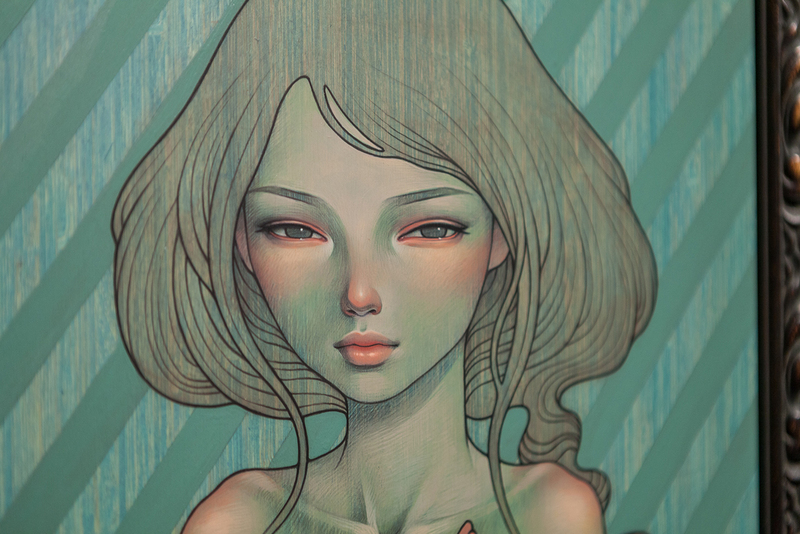 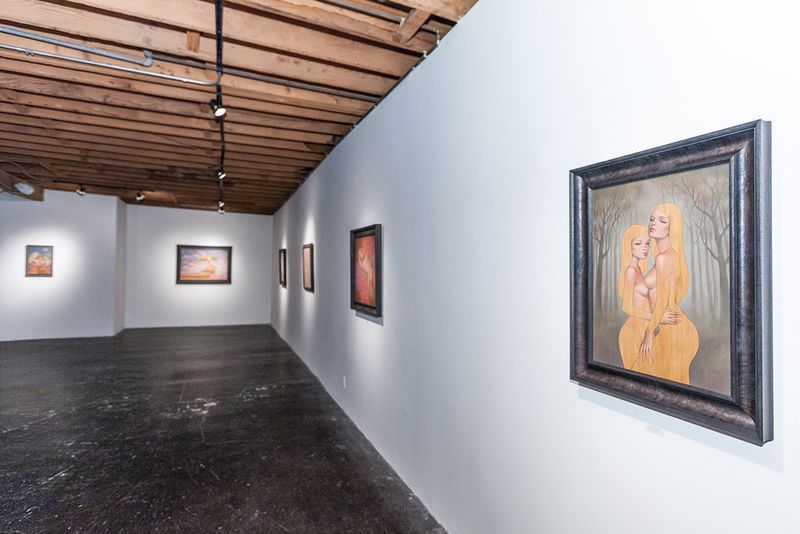 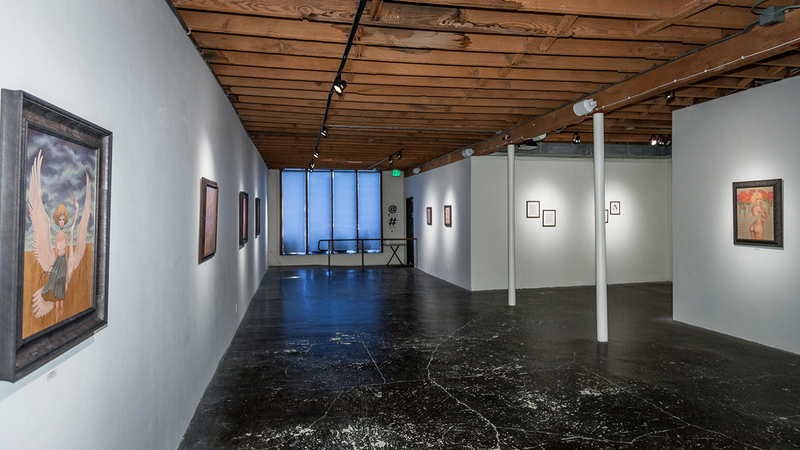 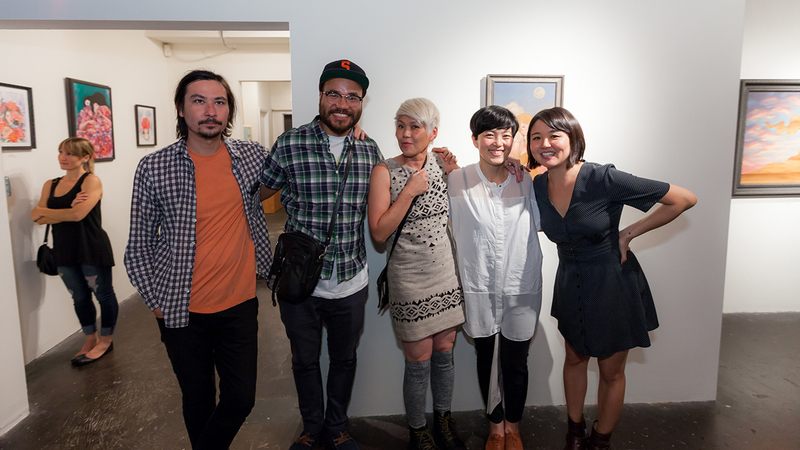 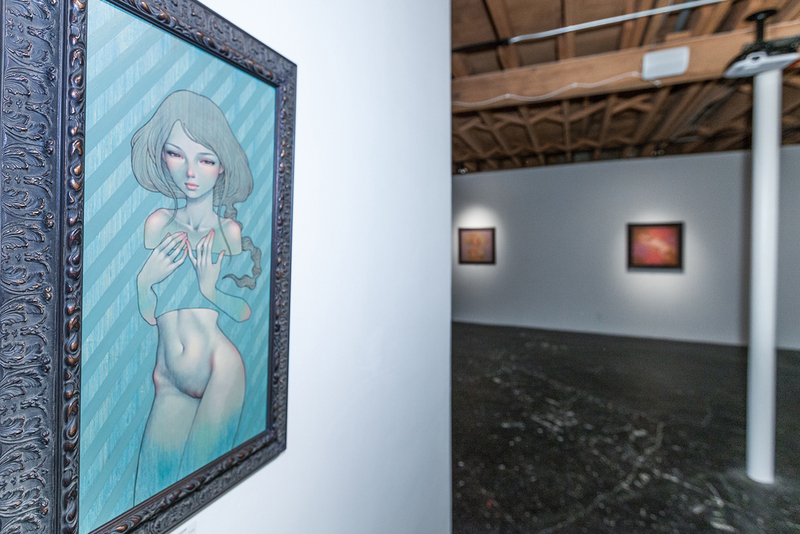 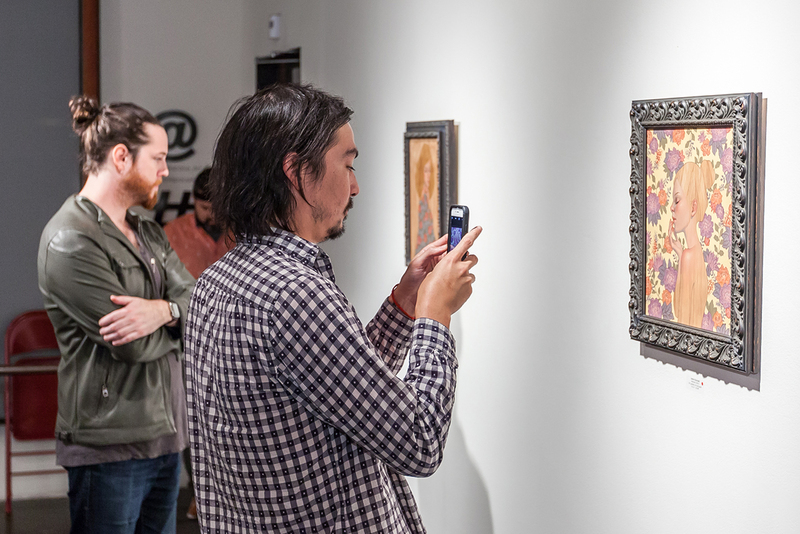 Audrey Kawasaki’s ‘Interlude’ & Stella Im Hultberg’s ‘Hollow Resonance’ are currently on view now through December 3rd. 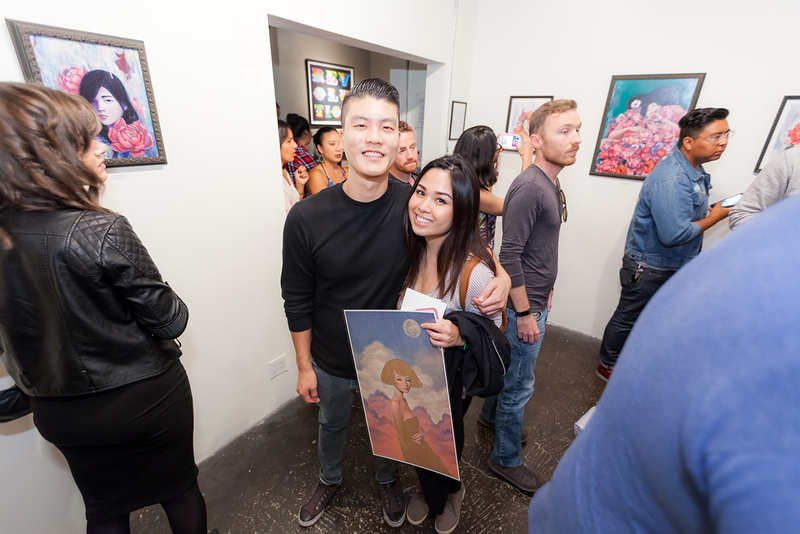 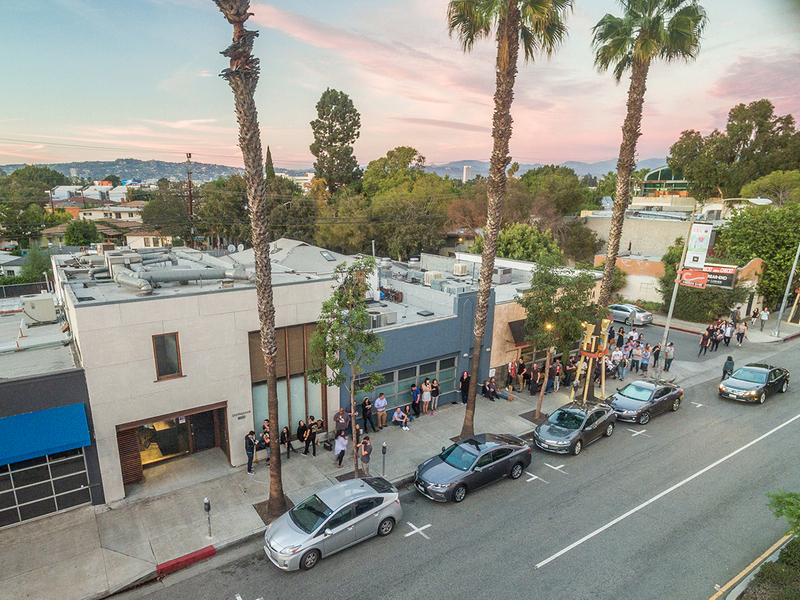 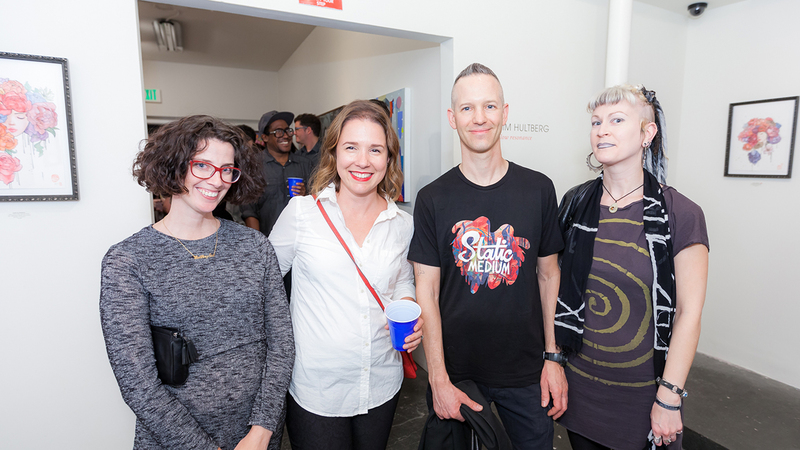 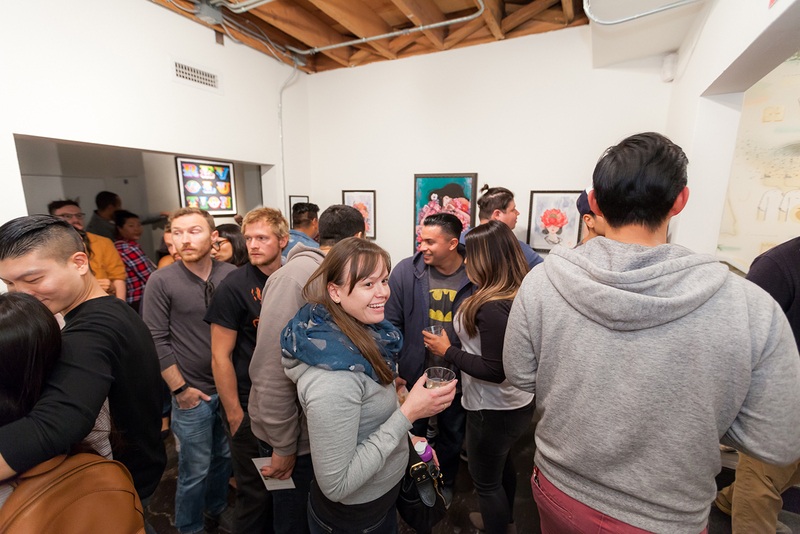 The doors to Audrey Kawasaki’s ‘Interlude’ and Stella Im Hultberg’s ‘Hollow Resonance’ opened at 5:00pm to let in the long line who was anxiously waiting to purchase new print releases from Audrey and Stella. 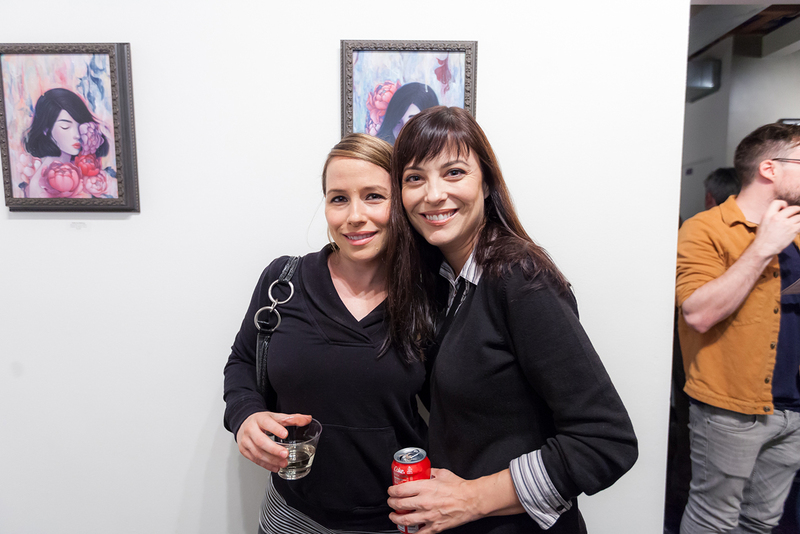 The gallery was packed with Audrey and Stella fan’s admiring their stunning new body of work from 5:00pm till long past doors at 9:00pm. 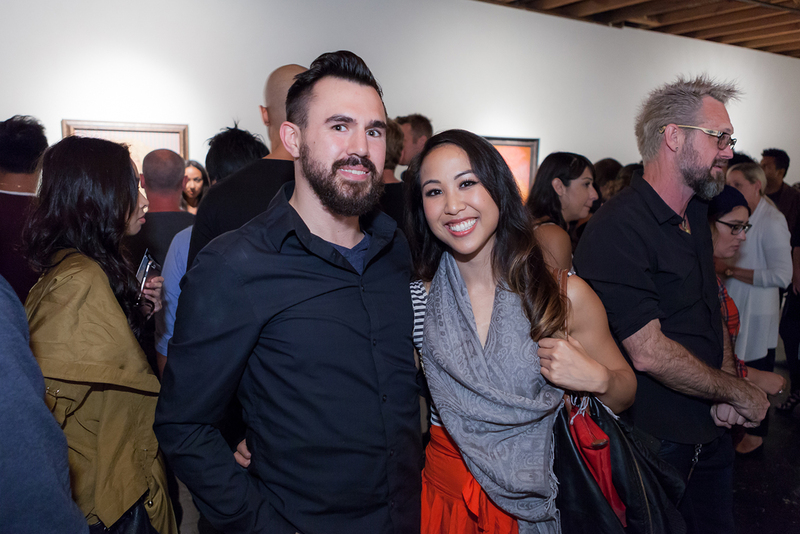 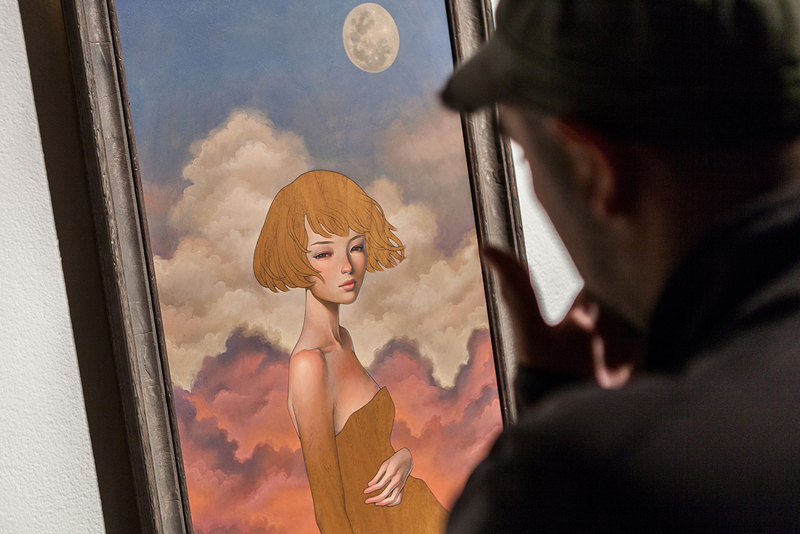 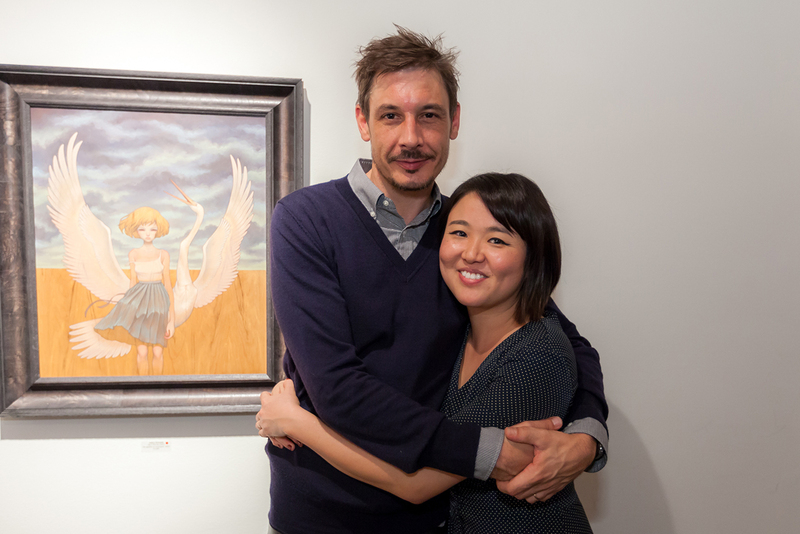 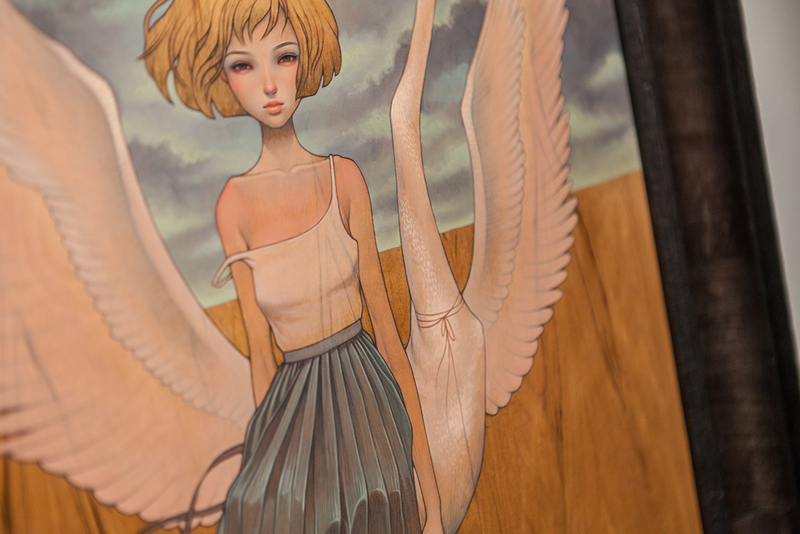 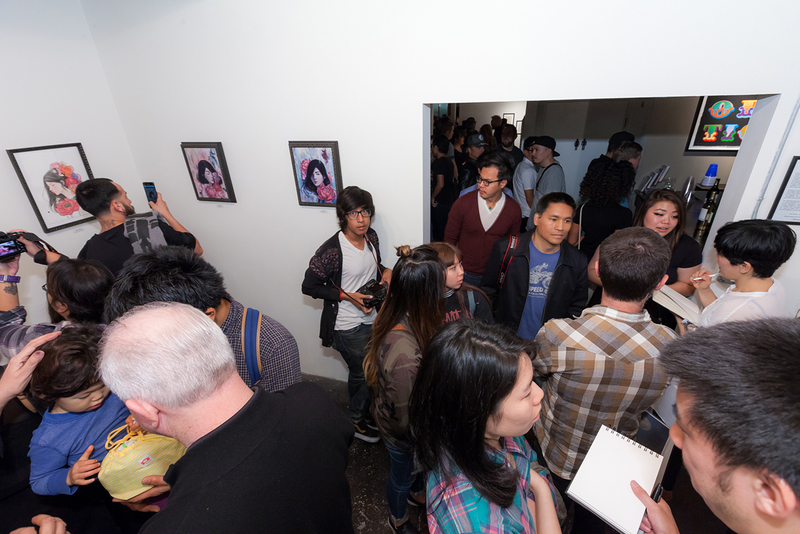 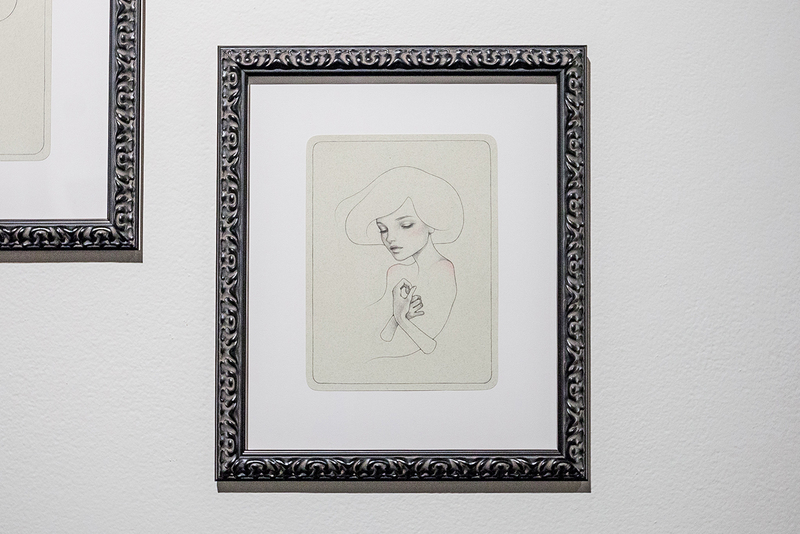 Audrey Kawasaki’s exhibition sold out before doors with four exclusive drawings reserved for the opening night. 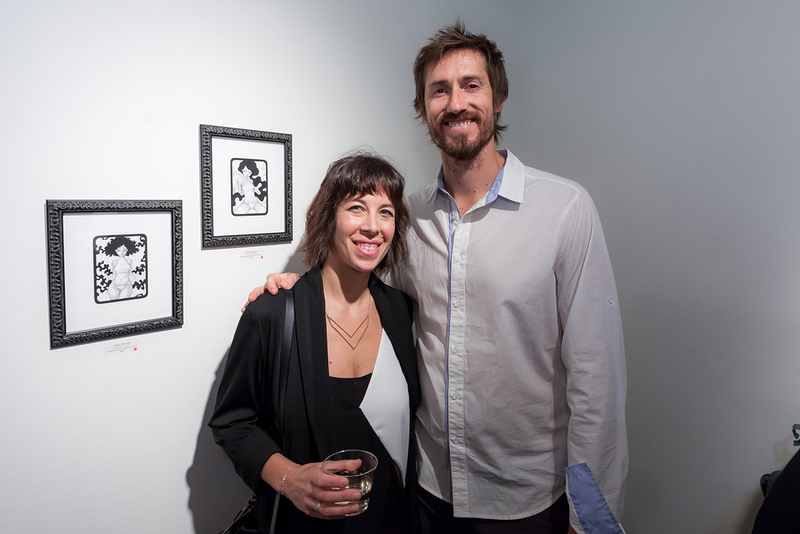 The fours drawings went quickly and were picked up by 4 special collectors who were within the first 15 people to purchase prints. 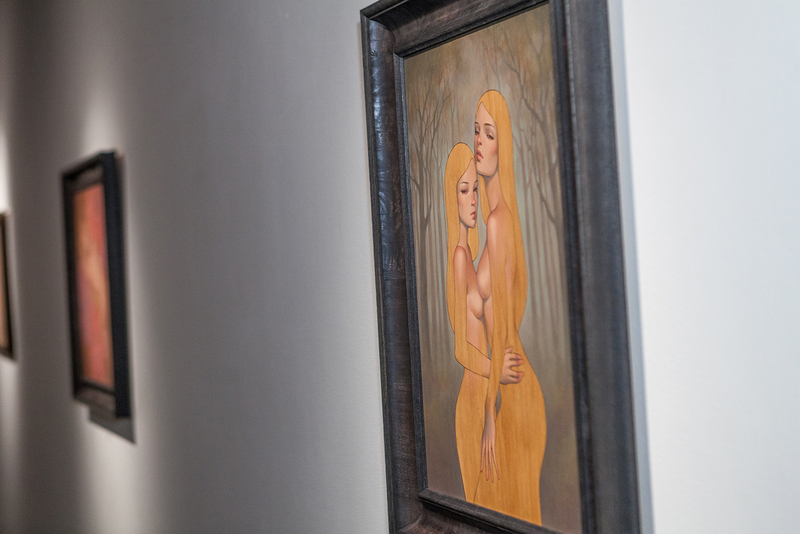 There are still a few pieces available from Stella Im Hultberg‘s beautiful show ‘Hollow Resonance’ inspired by dreams and her current relationship with her mother and motherhood. 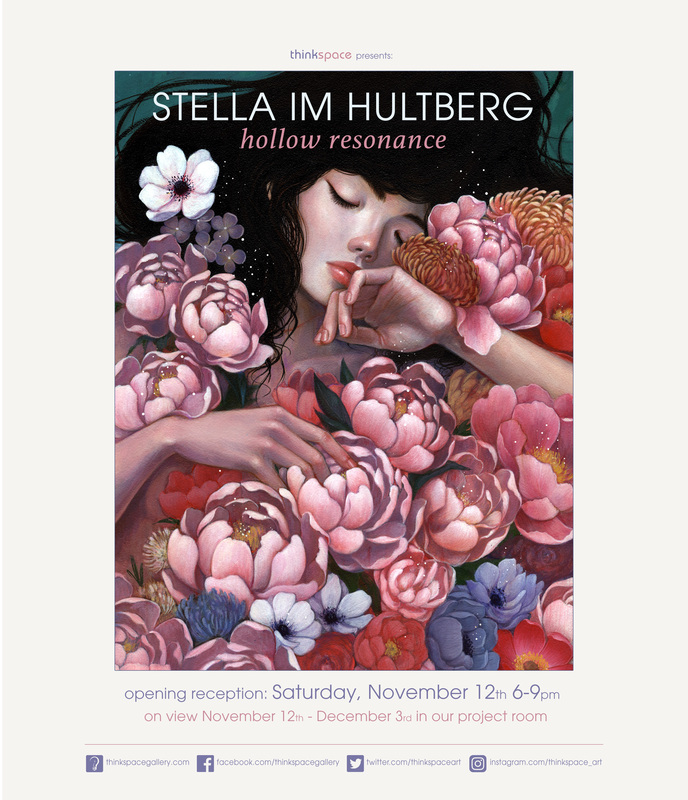 Make sure to check out our interview with Stella Im Hultberg for more background on her current work. 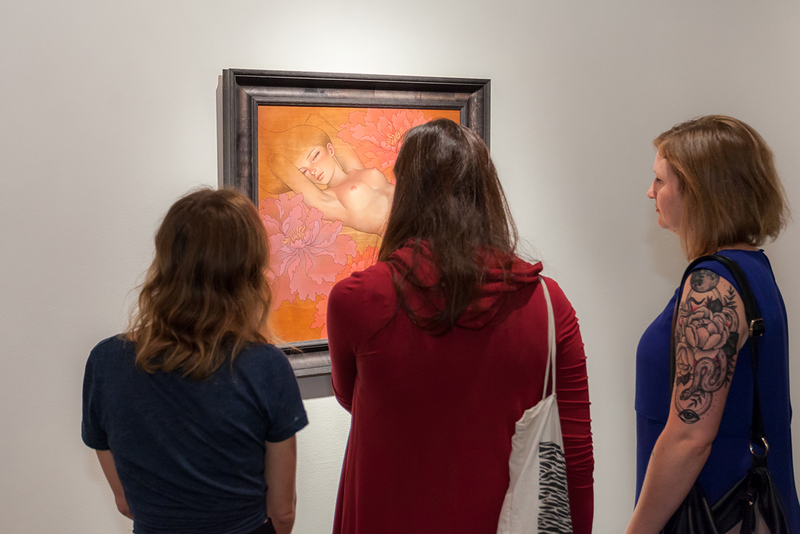 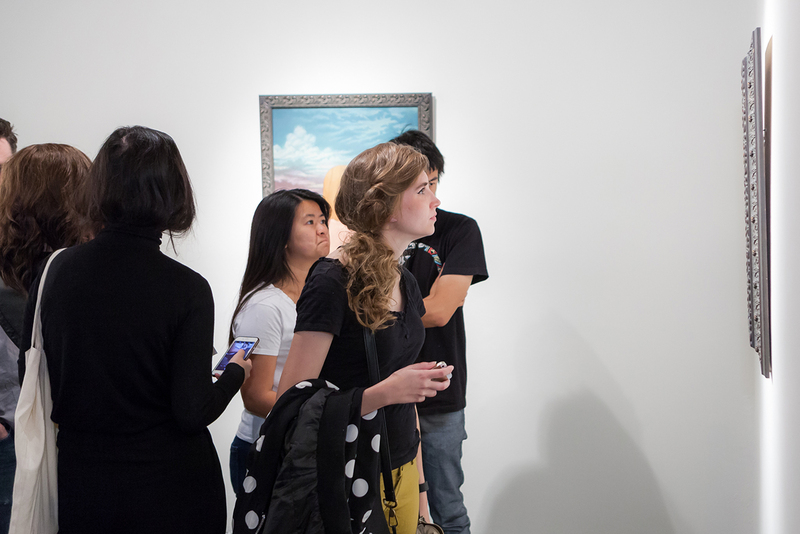 Both exhibitions are on view now until December 3, 2016.